The paper summarizes preliminary findings of a research project on the use of museum theatre in Greek open-air sites, as a part of a PhD thesis. The research focuses on the exploration of the development, use and function of museum theatre in Greek open-air sites based on available secondary resources and primary research, which included site visits, interviews and data analysis. The research summarized here was carried out in 2012 and presented in September 2012, in the OpenArch Conference "Museum interpretation and public engagement: Challenges and opportunities", in Höllviken, Sweden. Archaeological open-air sites, due to the great importance of Greek antiquities in the construction of national identity (Hamilakis 2007), are subject to a strict policy. This policy applies to the implementation of interpretive activities outside the framework of educational programs (such as events, performances et cetera), mainly where a private initiative is concerned. Museum theatre as an umbrella-term is used to describe a variety of performative events aimed to interpret fragments of cultural heritage. In the framework of one of the main challenges contemporary museums face, that of having a social impact while dealing with heritage, whom values and narratives can always be “contested and disputed” (Smith 2011, 70), museum theatre has proved that not only can it enforce a constructivist approach in a museum environment but it can also generate debate and promote critical thinking on controversial issues (Farthing 2010). The use of theatre and theatrical techniques for facilitating interpretation in museums, henceforth museum theatre, has been introduced in Greek museums and open-air sites over approximately the last three decades. Its development in Greece has given birth to certain forms of theatre interpretation. Up to now these forms can be grouped in six categories: educational theatre (Gourgouta 2002, Kakourou-Hroni 2010, Mousioni et al 2002, Vasala 2002), educational drama (Stamati 2002, Bitsa 2009, Destouni-Giannoulatou 2010, Sextou 2005, Kalesopoulou and Selekou 2009, Gotzolis et al 2009, Fourliga and Gavriilidou 2010,Gotsis and Vosnidis 2010, Haidou 2002, Zouros et al 2009, Dafni 2002, Kalokairinos 2002), storytelling (Kalesopoulou and Selekou 2009, Gotzolis et al 2009, Haidou 2002, Oikonomidou 2002, Petropoulou and Stellaki 2002, Vasala 2002, Mousioni et al 2002, Mantzoutsou 2002, Kalkounou 2010, Sextou 2005), live action role playing games (Fourliga and Gavriilidou 2010, Katsanika and Katsaridou 2008), puppet theatre (Fourliga and Gavriilidou 2010, Vasala 2002, Bitsa 2009, Destouni-Giannoulatou 2010), second person interpretation (Kalesopoulou and Selekou 2009, Gotsis and Vosnidis 2010, Haidou 2002, Oikonomidou 2002, Gourgounta 2002, Sioulas et al 2002, Papadopoulou 2002, Petropoulou and Stellaki 2002, Mantzoutsou 2002, Stamati 2002) and, rarely, first person interpretation (Mousioni et al 2002, Sextou 2005, Kakourou-Hroni 2010). According to secondary research results on educational programs implemented in the past and primary research on current programs, emphasis, in terms of frequency, is given to educational drama. Educational drama in site interpretation is used mainly as a methodological tool among other activities of experiential learning, rather than as a program on its own. Another form of theatre that is growing and developing is Live Action Role Playing Games (henceforth larps). Though larps are implemented till now only in museums and sites mostly in Northern Greece, their popularity and growth, however territorially limited, make their exploration in this paper worth mentioning. These two forms are also applied in open-air sites. Until now, the majority of museum theatre programs have been designed for school groups, while adults were more rarely addressed. Due to the limited availability of museum theatre bibliographies, especially concerning open-air sites (Nikonanou 2002, ICOM-CECA 2009, Ministry of Education 2002, Ministry of Culture 2002), this paper focuses on presenting some of the most well documented examples of museum theatre implementations in Greek open-air sites. Additionally, the paper explores the forms of theatre and theatrical techniques used as interpretive means in open-air sites, their inclusion in museum education’s policy as well as their perspectives and limitations in Greek open-air sites.1 The research process was based on bibliographical and internet research. Prior to the 1980s open-air archaeological sites’ interpretation in Greece was limited to guided tours (Nikonanou 2010, Hatzinikolaou 2008). Meanwhile, the main concern was placed on the preservation and protection of the enormous number of archaeological sites (Voudouri 2003). This priority led to an underestimation of the need to apply organized interpretive programs. 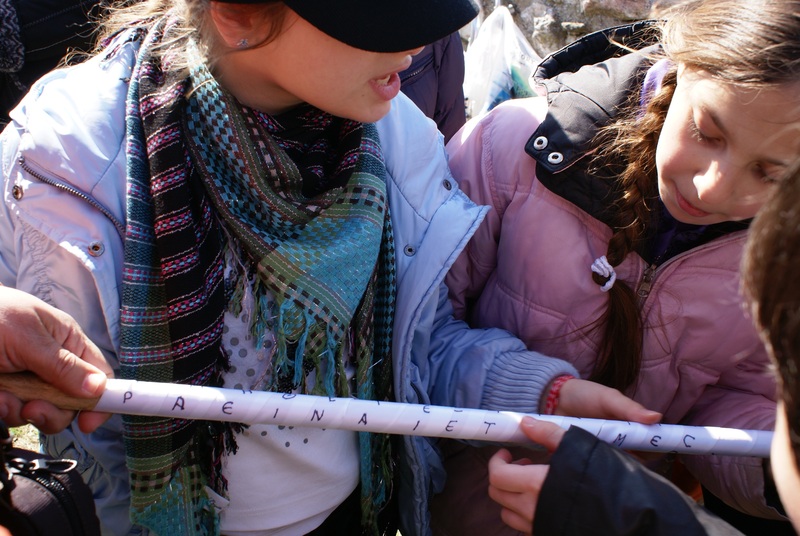 Alternative interpretative methods, in the form of educational programs, appeared in 1979 in Greek museums and open air-sites and focused on school groups (Nikonanou 2010, 62-63). In 1985 the Ministry of Culture initiated the Department of Educational Programs and Communication for Museums and Heritage Sites, which started various educational programs in the state museums, open air-sites and monuments (See also Chrissoulaki & Pini 2008, Ministry of Culture 2002, http://www.culture.gr/culture/eindex.jsp). Additionally, professionals in the field of museum education and interpretation were progressively involved in heritage institutions thus enriching their policy. Archaeological open-air sites, due to the great importance of Greek antiquities in the construction of national identity (Hamilakis 2007), are subject to a strict policy. This policy applies to the implementation of interpretive activities outside the framework of educational programs (such as events, performances et cetera), mainly where a private initiative is concerned. Overall, in the last three decades, archaeological sites have been interpreted in the light of their educational development2. At the same time, the implementation of educational activities in open-air sites meets an ongoing development often supported by the growing interest of municipalities, cultural institutions and schools (Nakou 2002, 115). Among the variety of educational programs developed, interpretation through theatre seems to have a promising role in ‘bringing to life’ archaeological and open- air sites. Museum theatre in open-air site interpretation is implemented either as part of educational programs, next to other educational methods such as discussion, creative artistic expression, et cetera, or as a complete program. Complete programs base their entire educational design on museum theatre, which forms the core of the educational process. The examples that follow are indicative of the practices that are being developed in open-air site interpretation through theatre and theatrical techniques. Educational activities in Greek museums and heritage sites are realized mainly through on-site educational programs designed and applied by museum educators. More restricted is the use of educational material offered to teachers in order to apply educational activities at school or at heritage sites and museums. In both cases, theatre techniques have been used. Research results on educational material for teachers have shown that the main theatre techniques suggested are either the enactment of stories especially written for specific exhibitions and/or sites, or the staging of a play by the students3. Overall, the stories performed by students focus mainly on everyday life in antiquity, and could be performed either at the archaeological site or at school (Nikonanou 2002). Similar but more time-limited approaches are observed in educational activities implemented by museum educators. The short duration of these programs (one and a half-two hours) significantly determines the possibilities for interpretation through museum theatre. According to research results, the most usual form of museum theatre that is used in educational programs is educational drama. This has been introduced over the last decade in Greek schools. Its application is connected to the Anglo-Saxon tradition (Kakoudaki and Karaviti 2007). An investigation of its development and practices in the Greek educational system shows an emphasis on the development of theatre games, as they were realized by Peter Slade (1955) and Brian Way (1967), closely linked with physical training (Bolton 2007). The influence of Dorothy Heathcote and Gavin Bolton (Heathcote and Bolton 1995), who stressed collectivity, thoughtfulness and decision-making (Bolton 2007), seem to have a minor impact. As a result, the drama techniques that are often used in Greek schools focus mainly on kinaesthetic expression and improvisation based on narrated stories, without stressing the development of a critical approach to the content delivered. As far as the use of educational drama in museum interpretation is concerned, preliminary research results show that it follows more or less the practices of drama in formal education. 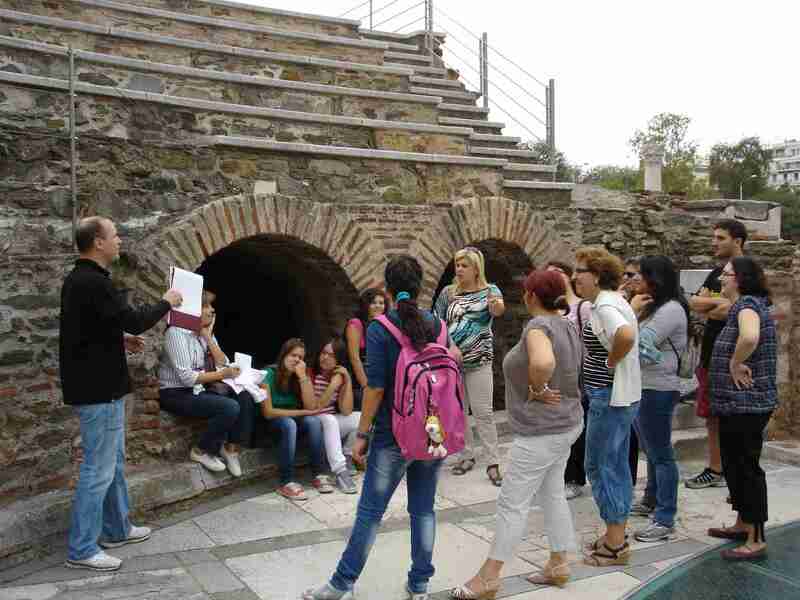 The potential of educational drama to provoke critical thinking was emphasized in very few educational programs; one such was a program implemented in the Ancient Agora of Athens, which encouraged students to enact a debate (Pini 2002, 63). The following example represents a typical implementation of educational drama in a not-that-typical,4 Greek open-air site. Theatrical games implemented in the program focused also on the students’ representation of the social life. The students were asked to imagine some ‘slices of life in the past’ by observing a 1910 photo of the most famous cafe in the Garden of Zappeion and a painted postcard. Through this inspiration, students mimicked movements and expressions by adopting the roles of the people represented in the photos. The students created ‘still images’ (tableau vivants) and talked about the habits of the era and the importance of the Garden, a process that offered them a better opportunity to interpret the open-air sites (Keramida et al. 2009, 103-4).This approach to educational drama confirms the previously mentioned emphasis on kinaesthetic and improvisational aspects of drama education in formal education in Greece. Another form of activity that appears in open-air sites is the representation of elements of the past by the students, without them being in a role. These activities seem to fall in what Scott Maggelsen refers to as second person interpretation. According to Maggelsen (2006), second person interpretation is a term recently introduced in order to describe the hands-on activities and programming offered by living history museums, through which visitors may try out various practices like weaving, cooking, or musket loading; they can imagine that they are interpreting the past through physical means, without pretending to be in character (Maggelsen 2006, 291). Similar activities are developed in the framework of museum educational programs. The only documented example of such activity dates to before 2002 and refers to the preparation of a monks’ dinner at the monastery of Kaisariani: the children prepared a monk’s dinner, according to the rules of the place and the time, and, without pretending to be the monks, they had dinner according to the monks’ ritual (Ministry of Culture 2002, 102). According to existing documentation, supplementary activities based on theatre techniques seem to be added as an enforcement of experiential learning that sufficiently complete the visitor experience, aiming at a “holistic integrative perspective on learning that combines exercise, perception, cognition and behaviour” (Kolb 1984, 21). Museum theatre programs are significantly fewer and are usually applied in museum spaces5. A form that has appeared in open-air sites is Live Action Role Playing Games (LARP). LARP appears to be of a special interest, as their use in museum environments is significantly under-researched (Nikonanou and Venieri, 2014). A presentation of their basic characteristics as far as it concerns their museum application follows. LARP is a kind of pretend play (Rognli 2008, 199). If play is the basis of the theatrical event (Sauter 2000: 5), LARP forms a part of the theatrical palette. However, LARP stems from the tradition of role playing games (henceforth RPGs) and are mainly studied through game theory. RPGs appeared in the game industry in the 1970s and have been very popular among teenagers. Their roots lie in Moreno’s psychodrama (Arjoranta 2011, 3) and they are even connected with 17th -18th century European carrousels also; a form of live role-play often performed at European Courts (Söderberg et al. 2002). RPG is a game in which participants adopt the role of imaginative characters and then create or watch stories. The participants act according to the restrictions imposed by their role and their success or failure depends on certain rules and guidelinescommunicated to the players, usually by a ‘game master’ and rarely invented by the players themselves (Arjoranta 2011). Through a process based on achieving a number of different targets, players work as a group in order to fulfil their mission. By solving mysteries, the participants encounter dilemmas and explore the options that will lead them to the end of the game. RPGs appear in many variations. Players’ decisions shape the course of the game. There are no winners or losers, just “an interactive process of defining and re-defining an imaginary gameworld, done by a group of participants according to a recognized structure of power” (Montola 2007, 179). Event arrangers called game masters, storytellers or narrators, decide the setting and rules to be used and facilitate play. The term Live Action Role Playing Games is used in order to describe role playing games that are played physically by the participants and therefore acquire dramatic characteristics. LARPing has also been used for exploring political and social issues in a historical interpretation context6 for educational purposes. They have even served as the main methodology for school’s curricula (Hyltoft 2008; Müller 2011, 45). In the museum environment the games are designed around the stories that derive from the museum’s exhibition. Participants explore and observe museum exhibits, trying to make connections among various historical data, following the structure of rpgs but maintaining the ‘authenticity’ element that the museum offers. It is worth noticing that museums don’t design LARP games, but rather co-operate with a private company. So far, there is only one company (http://www.gamecraft.gr) that designs and implements LARP events in museum spaces. the knowledge of antiquities found in the area (http://gamecraft.gr/?page_id=501). In Aristotle’s interactive park, which is equipped with physics tools for hands-on activities, the program was aimed at making the public familiar with Aristotle’s Physics and his life. Another LARP implemented in an open-air site is the “Thessaloniki City Rally (Treasure Hunt) The Share”. The whole city of Thessaloniki, with its many disparate monuments, which cover a significant territorial and historical part of the city, became a kind of open-air museum in order to ‘stage’ a LARP event. The main innovative contribution of LARP is the fact that it addresses groups of adults. Organized museum activities stressing ‘experience’ and addressing adults are extremely rare in Greek museums and open-air sites. The inclusion of LARPs in a museum’s education policy could significantly heighten the museum’s impact and outreach. The implementation of LARP attempts to cover this need by offering active engagement for adults and families, though these activities are mostly offered on special occasions. The aforementioned examples illustrate the growing interest in site interpretation through theatre and its various means. Museum theatre interpretation in open-air sites seems to be in constant development, firstly, due to the willingness of educational institutions to increase their impact and to enrich the ways of interacting with the audience. Furthermore, this development is supported by the progressive acknowledgement of the value of theatre as an educational means in the Greek educational system. Until now, the forms of museum theatre in open-air site interpretation, are limited mostly to educational drama and second person interpretation, as part of educational programs and LARP as complete museum theatre programs. Despite their occasional implementation, they improve the communication with visitors and engage new audience groups. The examples stated above show also that theatre techniques are used to emphasize cognitive and sensory aims that rely heavily on the power of the exhibits. So far, museum theatre’s potential to generate debate on social and historical issues has not fully developed. While keeping a focus on the past, the agenda of discourse on social issues that formed the existing reality and the correlations between the past and the present day phenomena is significantly limited. However, a recent implementation (2012-13) of a performance walk in the city of Thessaloniki did address issues of immigration and citizenship, showing signs of a shift in the interpretation agenda7. Perspectives on site interpretation through museum theatre include the expansion of museum theatre forms used, such as first person and third person interpretation, and the further inclusion of different visitor-groups, like adults and families.8 Moreover, the transformation of cities and villages rich in monuments of cultural heritage (which without many changes may provide a scenery) into live museums - as in the previously mentioned program of “Thessaloniki City Rally” - could offer additional opportunities for the development of museum theatre. The generation of a discourse on challenging issues of the past and current reality would be another possibility that could arise from the use of museum theatre, if museums and responsible entities have such an intention. 1. The function and content of museum theatre programs is also a key research question that will be explored in the next phase of the project by on-site visits and visitor research. 2. For instance, according to the Ministry of Culture up to 2002, 184 educational programs have been implemented by the Ephorate of Prehistorical and Classical Antiquities, 85 of them were realized in 69 archaeological sites. 3. In this case, the script is created by the students, who follow the guidelines of the educator. 4. The term ‘open-air site’ in Greece is usually identical to the term ‘archaeological site’. 5. As in the case of the educational program “Exploring the history of a manuscript” that was undertaken at the Museum of Byzantine Culture (Avdi et al 2008). 7. An audience research on its impact has been completed by the writers of this article and it will soon be published. Part of the research results were presented in the 2013 Imtal Global Conference in Washington DC and can be accessed on-line at: https://www.academia.edu/6247739..
*AVDI, A., HATZIGEORGIOU, M., FOURLIGA, E., GAVRIILIDOU, I. and VEROPOULIDOU, E. 2008. Exploring the history of a manuscript, Drama Workshop in the Museum of Byzantine Culture. In A. Bounia, N. Nikonanou and M. Oikonomou, eds. 2008.Technology in the Service of Cultural Heritage. Athens: Kaleidoscope. pp.270-280. *BITSA, S. 2009, “Educational programs during the exhibition From the land of the Golden Fleece. Treasures of Ancient Colchis. InICOM-CECA, 2009. Educational Activities for the Cultural Heritage and the Environment, 2008-2009, Proceedings. Athens: Committee for education and cultural action. pp.140-145. BOLTON, G. 2007. A History of Drama Education: A search of substance. In International Handbook of Research in Arts Education, 16, 1, pp.45-66. *DAFNI, N. 2002. Educational activities in the Museum of Greek Folk Art. In Ministry of Education, Ministry of Culture, ICOM, Museum-School, 6th Regional Seminar, Kavala. Athens: ICOM. pp.101-104. FARTHING, A. 2010. Let me do and I understand: Exploring the potential of drama as an aid to understanding sensitive and emotionally challenging subjects in the context of museum and heritage site learning. Ph.D. University of Manchester. *GATZOLIS, H., KOKOROTSKOU, M. and SAKALI, O. 2009. Educational Activities in the Archaeological Museum of Thessaloniki. In ICOM-CECA, 2009. Educational Activities for the Cultural Heritage and the Environment, 2008-2009, Proceedings. Athens: Committee for education and cultural action. pp.121-127. *GOTSIS, S. and VOSNIDIS, P. 2010. For a multi-faceted museum education policy: The experience of the Byzantine and Christian Museum. In Nakou, I. and Vemi, N., eds. 2010. Museums and Education. Athens: Nisos. pp. 169-178. *GOURGOUTA, K. 2002. Historical-Folklore and Natural History Museum of Kozani. In Ministry of Education, Ministry of Culture, ICOM, Museum-School, 6th Regional Seminar, Kavala. Athens: ICOM. pp. 93-97. HAMILAKIS, Y. 2007. The nation and its ruins, Antiquity, Archaeology, and National Imagination in Greece. Oxford: Classical Presences. *HATZINIKOLAOU,T. 2008. Museum education in Greece and the role of ICOM in the course of thirty years. In N. Nikonanou and K. Kasvikis, eds. 2008. Educational Journeys in Time. Experiences and Interpretations of the Past. Athens: Patakis. pp. 188-195. HEATHCOTE, D. and Bolton, G. 1995. Drama for Learning. London: Heinemann. KAKOUDAKI, G. and KARAVITI, P. 2007. Drama/Theatre & Education in Greece. In N. Govas, G. Kakoudaki and D. Miholic, eds. 2007. Drama/Theatre & Education in Europe, Athens: Hellenic Theatre/Drama & Education Network. pp.38-45. *KAKOUROU-HRONI, G. 2010. Museum-School, Facing Doors in Knowledge. Athens:Patakis. *KALKOUNOU, P. 2010. The relation between the museum and the local community through the educational programs of the Peloponnesian Folklore Foundation. In I. Nakou and N. Vemi, eds. 2010. Museums and Education. Athens: Nisos. pp.225-230. *KERAMIDA, I., KOUMNA, A., LENI, M., MIKELAKIS, M. and FROUNTZOU, E. 2009. One day in Zappeion…the statues’ garden. 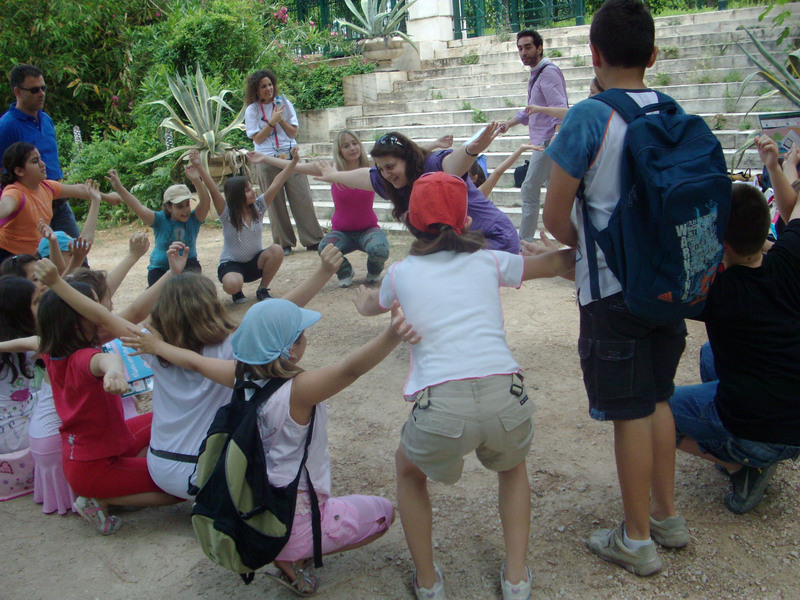 Educational program at Zappeion Gardens. In ICOM-CECA, 2009. Educational Activities for the Cultural Heritage and the Environment, 2008-2009, Proceedings. Athens: Committee for education and cultural action. pp.99-105. KOLB, D.A., 1984. Experiential Learning: Experience as the Source of Learning and Development, Englewood Cliffs, NJ: Prentice Hall. *Ministry of Culture, 2002. Games of Culture. Athens: Department of Educational Programs. *MOUSIONI, L., VAFIADAKI, A. and KONTSA, K. 2002. Folklore and Historical Museum of Larissa, Educational Programs and Schools. In Ministry of Education, Ministry of Culture, ICOM, Museum-School, 6th Regional Seminar, Kavala. Athens: ICOM. pp.167-169. *NAKOU, E. 2006. The scientific background of the relationship among Museums, Education and History. In G. Kokkinos and E. Alexaki, eds. 2006. Approaches in Museum Education. Athens:Metaixmio. pp. 115-128. *NIKONANOU, N. 2002. Archaeological Museums and School. 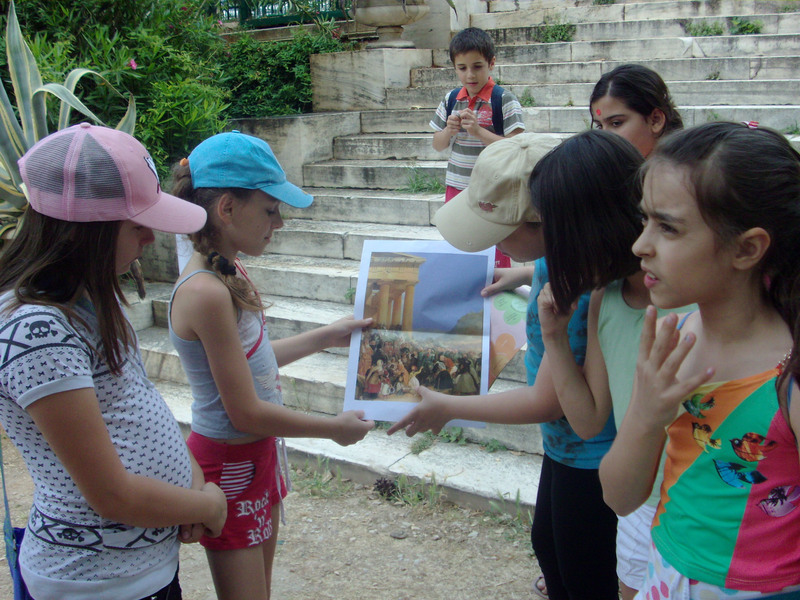 Museum-educational Programs for Primary school in Greece. Ph.D. Aristotle University of Thessaloniki. *NIKONANOU, N. 2010. Museum education: From Theory toPractice. Athens:Patakis. *PAPADOPOULOU, G. 2002. Educational Programs and the Hellenic Children’s Museum. In Ministry of Education, Ministry of Culture, ICOM, Museum-School, 6th Regional Seminar, Kavala. Athens: ICOM. pp.127-130. *PETROPOULOU, I. and STELLAKI, P. 2002. 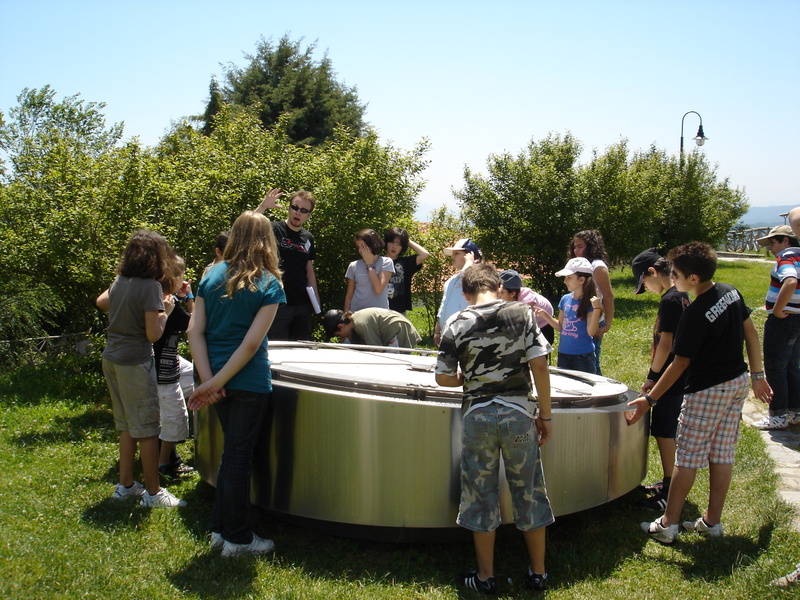 Educational programs in “Hellenic Cosmos”. In Ministry of Education, Ministry of Culture, ICOM, Museum-School, 6th Regional Seminar, Kavala. Athens: ICOM. pp.137-140. *PINI, E. 2002. Museums and Education: A common field. In Ministry of Education, Ministry of Culture, ICOM, Museum-School, 6th Regional Seminar, Kavala. Athens: ICOM. pp.62-65. SLADE, P. 1955. Child Drama. London: University of London Press. SEXTOU, P. 2005. Theatre In Education programs in schools. Athens:Metaihmio. *STAMATI, E.F. 2002. Aesthetic Education for children and adults on the occasion of works of children’s expression and creativity. In Ministry of Education, Ministry of Culture, ICOM, Museum-School, 6th Regional Seminar, Kavala. Athens: ICOM. pp. 182-184. *VASALA, P. 2002. Education, Museum, School in the Institution Foka-Kosmetatou. In Ministry of Education, Ministry of Culture, ICOM, Museum-School, 6th Regional Seminar, Kavala. Athens: ICOM. pp. 141-145. *VOUDOURI, D. 2003. State and Museums, The Institutional Framework of Archaeological Museums. Athens: Sakkoulas. WAY, B. 1967, Development through drama. New York: Humanities Press.